After fifteen years on the Board and eight as the Board president, Pete Olney '66 P'00'00 will step down this summer, succeeded by Stephen Lari '90. The completion of the $15 Million Residential Life Matching Challenge brings longtime planning and renovation initiatives to fruition. This spring, a Middlesex family, who wishes to remain anonymous, generously decided to make a milestone gift to move the Mx2 theatre project significantly closer to completion. After seeing the progress made on many other areas of the campaign, these donors wanted to make sure that the intended plans for the theatre would be realized. With their contribution, the prospect of a complete theatre renovation has become more of a reality. This landmark donation was made possible in part by the Bass Family Challenge for the Arts, an ongoing matching challenge, established by Trustees Robert and Anne Bass P'93, which matches half of any contribution made toward the arts during the Mx2 campaign. These funds have greatly augmented several donations, including this one; the Bass Family Challenge added $1 million to the family’s $2 million contribution, securing the $3 million naming rights for the new main stage theatre. Opportunities still remain for contributors to increase the impact of their gifts to the campaign’s theatre projects by taking advantage of Bass Family Challenge matching funds. Though only $800,000 in matching funds remains of the original $5 million, the potential effects of all matched gifts are profound. The $2.4million that would result from using the remaining matching funds would make significant progress toward creating theatre facilities that equal the strength of the program. Within the theatre building, naming opportunities are still available for the dressing rooms, orchestra pit, recording studio for student musicians and a cappella groups, black box theatre, workshop for set creation, and student art gallery. The impact of theatre at Middlesex extends far beyond the stage. Its influence can be seen in the confidence of our sophomores after Green Rooms, the poise of prospective school presidents as they give their campaign speeches, and the passion our performers display at concerts and recitals throughout the year. The theatre projects included in this campaign will allow us to gather our entire community in a single assembly area, to create spaces that inspire and support the creativity of our student artists, and to upgrade our facilities and technology to a level commensurate with innovative work being undertaken each day. To join us in maximizing the potential of our theatre program and realizing a renovated theatre space at Middlesex, please contact Heather Parker or George Noble in our Development Office at 978 369 5110. Time is running out on the MX2 Residential Life Challenge! With less than $1 million of matching funds left to raise to reach our goal, we are in our final stages of completing this portion of the School's plan to enhance residential life on campus. As we continue to drive toward our goals of strengthening the traditions of Middlesex through MX2: The Campaign for Middlesex, this challenge gives donors the opportunity to help transform our students’ lives on campus and make a direct impact on residential life at the School. All capital gifts and pledges of $50,000 or more designated to residential life will be matched dollar for dollar! All of the gifts will support Middlesex’s capital campaign goals and further strengthen the School’s ability to fulfill its mission of finding the promise in each student. With the renovations of LB and RW complete and the Board's recent approval of the renovations for Clay house, we are closer than ever to reaching the milestones for the Residential Life piece of MX2. We hope you will visit the Campus page for more information about our plans for Residential Life at Middlesex. If you are interested in supporting the additions and renovations of residential facilities on campus, please reach out to Director of Development, Heather Parker, or Director of Advancement, George Noble. Last Wednesday, the last of three MX2 Campaign Kick-off events was held at the Intercontinental Mark Hopkins Hotel in San Francisco, CA. Despite the thousands of miles that separate the Circle and the west coast, the energy and enthusiasm for Middlesex remains stronger than ever. 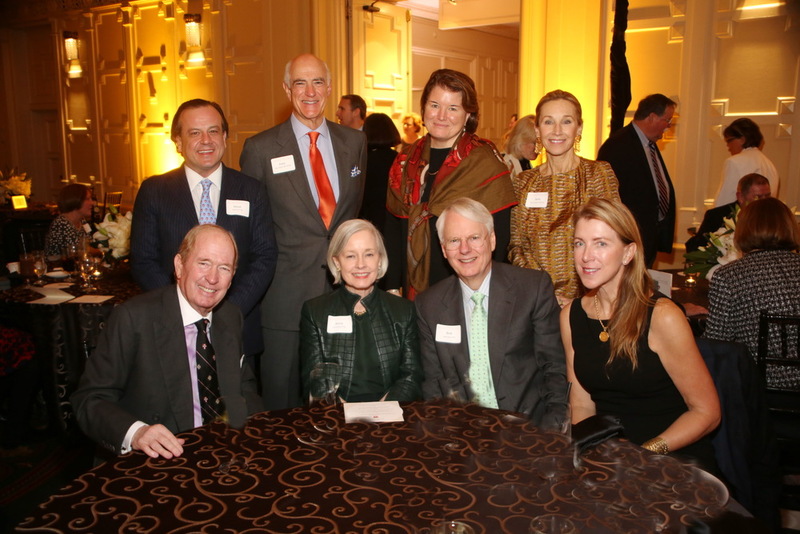 The celebratory evening brought together over eighty members of the Middlesex community, including both current and former trustees, alumni spanning five decades, parents and friends in honor of the official west coast launch of MX2: The Campaign for Middlesex. Many guests traveled from afar to reconnect with the Middlesex community at this event. Last year's graduation speakers and current writers for the animated TV series Family Guy, John Viener '90 and Alec Sulkin '91, were both in attendance after making the trip from LA. Some even ventured from as far as Seattle to show their support for MX2. Residential life at Middlesex is one of the most distinguishing facets of our community and has been since the school was founded. During the fall and spring seasons at Middlesex, students have the opportunity to take advantage of all the outdoor earmarks that our beautiful campus has to offer – the circle, the pond, and the Estabrook Woods to name a few. Though they remain just as stunning in the glow of an early January sunset, these areas of our campus are rarely inhabited by students at this point in the year. As the temperatures drop, students tend to spend more time in their dorms, and it’s during this time that the strongest friendships and memories often materialize. Whether in Clay or LB, Higginson or BP, life in the dorm may be one of the defining characteristics of the winter months. Many generations of alumni associate their time at Middlesex with their dorm experience, thanks in large part to the comfortable, inclusive environment that each dorm offers. The creation of memories, relationships, and traditions in each dorm—Atkins, Kravis, RW, LB, Peabody, BP, Hallowell, and Clay, alike—remains a key factor of life on campus and adds incredible value to the Middlesex experience. As we move forward with the plans for MX2, we hope to continue to foster each dorm community and to provide students the opportunities to experience the tradition of dorm life at Middlesex. For more information about our plans for Residential Life, click here. After successful kick-off events in Boston and New York in October, MX2 is heading to the west coast.We are excited to announce two more MX2 gatherings that will be taking place in January of 2015. If you plan to be in the area of either of these events, please let us know by reaching out to the Alumni office directly. Click here for contact information. We are very much looking forward to these celebrations of MX2 and we hope to see you there! Join fellow Middlesex alumni parents, and friends for a celebratory gathering in honor of the official launch of MX2 at the home of Sara and John Dyett '88. The event will begin at 7pm. For address information, please email the alumni office. Renovation Updates: The Paine Barn is complete! Several of the before pictures hanging in the basement of the barn. This horseshoe and all of the wood beams are original. Left to Right: Owner of B.W. Kennedy Construction, Brian Kennedy, Middlesex Chief Operating Officer, Matt Crozier, and Project Manager, Steve McKeown. The charm of the barn is still intact, as many of the original wood beams still remain throughout the building. Now that the renovations have been completed, the Barn will be the new home of the Middlesex Facilities Team, who currently reside in the smoke stack building behind the Atkins Dormitory. With this move, the smoke stack building will become available for transformation into our new Music and Campus Center. Click here for more information on the Music Center and other campus initiatives for MX2, and be sure to check out the Campus Map. Articulating the significance of music at Middlesex is a difficult task. Music is everywhere on our campus; some would argue that it's hard to avoid. Whether it's by playing an instrument, singing in small chorus, or simply belting out the words to Jersusalem every Wednesday at chapel, everyone in the community is exposed to the music of Middlesex at one point or another. One event that truly encapsulates the longstanding musical traditions here is the annual Holiday Concert. In many ways, it would not be the Holiday season on campus without the Holiday Concert. For decades, the concert has offered the Middlesex community an opportunity to join together to celebrate and reflect on the meaning of the Holiday season through music. In the 1930s and 40s, the Head of the Music Department, Arthur Motter Lamb, orchestrated a beautiful arrangement of classic Holiday music for the entire community to enjoy. Over time, the musical program has also come to include some of the most magical and powerful music that our community gets to create together. In 2004, beloved faculty member, Sarah Megan, emphasized this idea by encouraging the performers to sing a difficult but otherwise beautiful piece of music, "Though it was a stretch for us, I decided to undertake Magnificat to expose our community to one of the greatest choral masterpieces of all time." The Holiday Concert led by former Music Department Head, Sarah Megan. In recent years, the tradition and appreciation of the concert is stronger than ever, as many look forward to the peaceful and inclusive atmosphere of the evening. While the concert has evolved and grown over the years, the connection that it creates across generations of alumni, faculty, and parents is inspiring. As we head into this holiday season, we hope that the memories of this concert act as a vivid reminder of the beauty and significance of music at Middlesex. The Interactive Map is Here! Ever since the Olmsted Brothers designed our stunning campus in 1901, the embracive and welcoming nature of our community has been a defining feature of Middlesex. One of the primary focuses of MX2 centers on continuing to enhance parts of our campus to provide students and faculty with comfortable and innovative spaces in which to live, learn and cultivate their passions. With the launch of the interactive map, we hope to provide you with an in-depth look into the details regarding the renovations on campus. By clicking the shields and logos, viewers will find images and information regarding the plans for specified buildings, as well as some history pertaining to several of the older buildings on campus. Click here to check out the map, and make sure to let us know what you think by emailing us at mx2.mxschool.edu.